We set a Guinness World Record for the most software downloads in 24 hours. With your help we reached 8,002,530 downloads. You are now part of a World Record and the proud owner of the best version of Firefox yet! 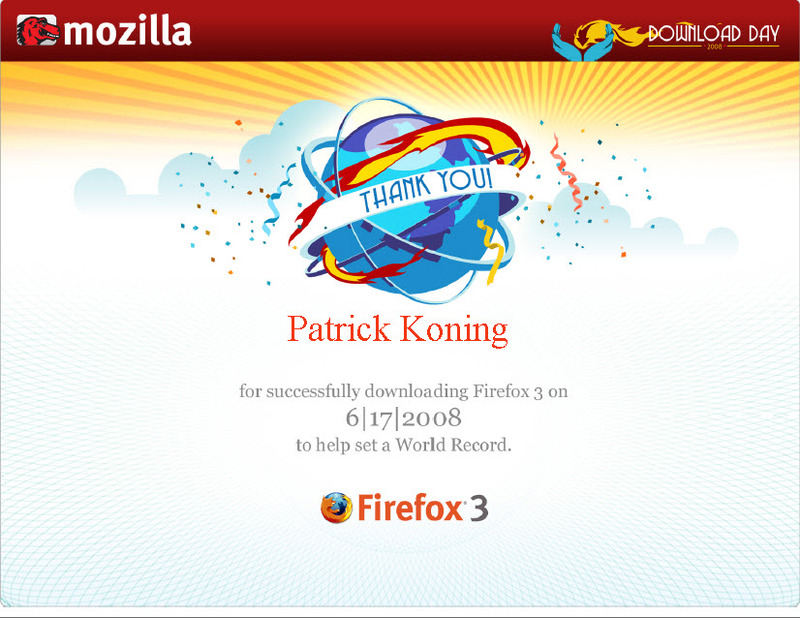 Geweldig dat ruim 8 miljoen mensen wereldwijs op dag 1 van de officiele release Firefox 3.0 gedownload hebben. Ja ik kreeg hem net ook binnen :D, kheb hem voor de lol ook maar uitgeprint. Lang leve Ubuntu Linux: linux voor noobs!